Before I went on a blogging hiatus, I had the brilliant idea of spotlighting different bookstores around the world. It was going to be a massive post describing the coolest stores I could find on the interwebs or during my travels. I’ve decided not to give you all the goods in one post (or I’ve just not had the time to do real research), so this is the first post of what I hope will be a series – Bookstores of the World! For the first spotlight, I thought I would stick close to home. Imagine row upon row of dusty stacks stuffed with limited editions, signed copies, and rare finds just waiting to be discovered. Does this sound like a dream? Well, step into reality and come to Detroit. 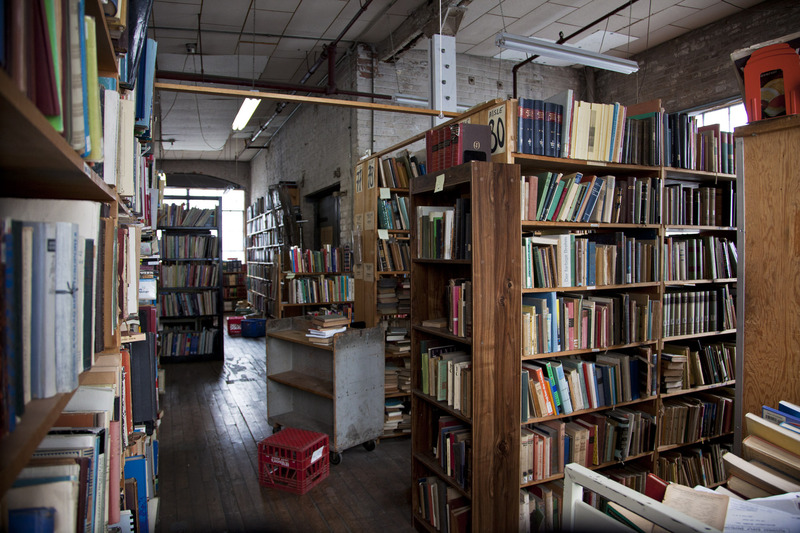 Downtown there is a glorious store of dreams called John K. King Used and Rare Books (King’s in the vernacular). King’s has over a million books ranging from yellowing German literature to mystery dime novels from decades past. 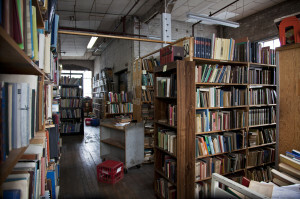 One’s first steps into the store are overwhelming, as you are surrounded in a book cocoon. At first you may wonder what disarrayed, professorial office you entered. 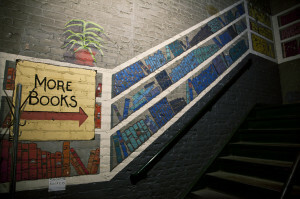 Everywhere you look there are books. Every breathe in will fill your nose with dust and the smells of leather, paper, and age. Where to begin? Where to even find what you’re looking for? 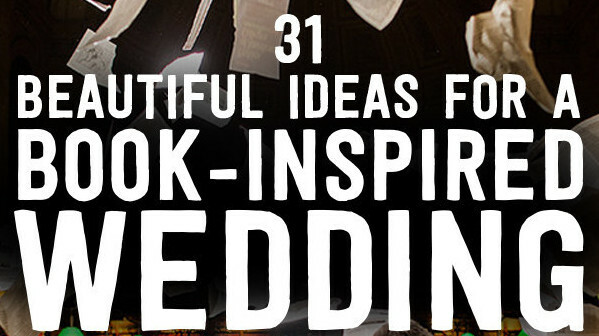 Well – if you go in looking for something in particular, I guarantee you will walk out with everything but that item. 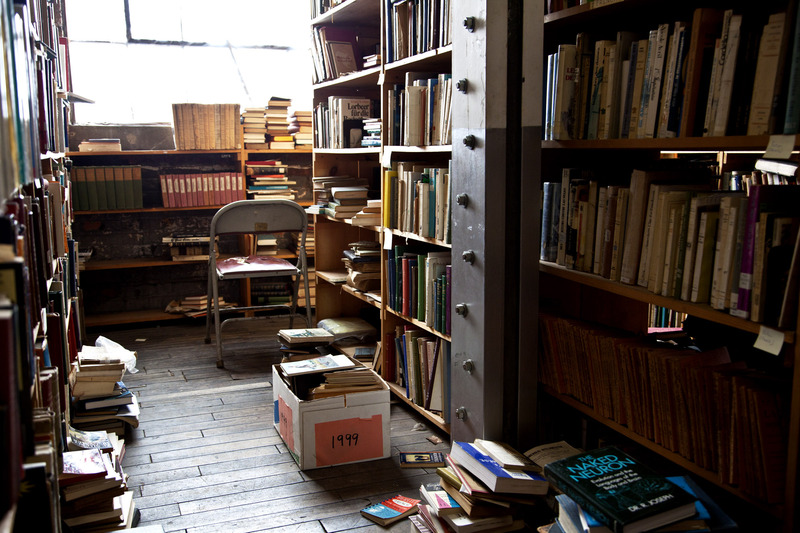 A trip to this literary lover’s paradise is never short. With four floors of wall-to-wall books it is important to pace yourself and block off a whole day if possible. King’s does not only serve up a variety of rare tomes, but it also provides character. In the old Advance Glove warehouse, King’s is complete with dusty shelves and creaking wooden floors. Also, the people who work and frequent King’s add a peculiar charm. 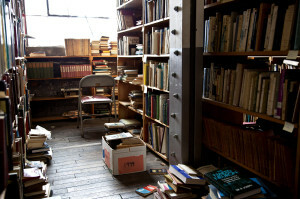 On any visit one could witness patrons young and old holed up in corners perusing books. 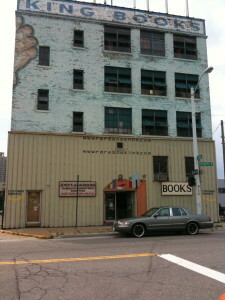 Local Detroiters and book collectors from afar visit King’s, and the staff are always helpful. So, if you’re ever in metro-Detroit schedule a visit to King’s. It will not disappoint. And I suggest setting a spending limit for yourself, so your life’s savings doesn’t disappear at once. * Photos courtesy of Doc Campbell.